Restore your skin’s natural radiance and clarity. 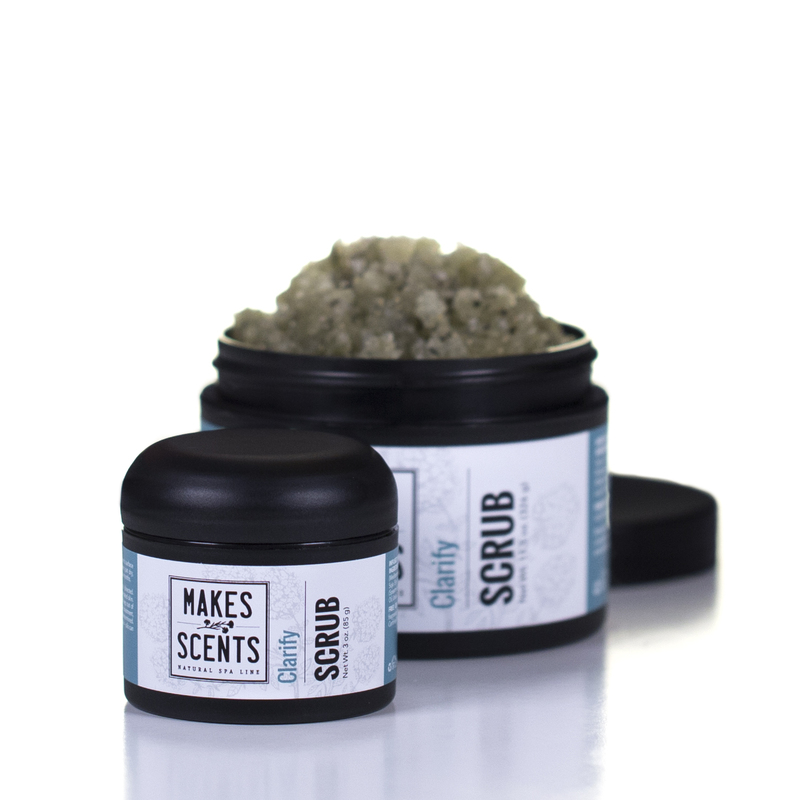 Clarify Body Scrub uses Mediterranean Sea and Israeli Dead Sea salt to exfoliate and reveal refreshed skin. As rosemary oil fights bacteria and improves circulation, vitamin-rich organic sunflower seed oil nourishes the skin. Clarify Body Scrub also benefits skin with the anti-inflammatory, antiseptic, and uplifting properties of peppermint, spearmint, and thyme. Protect and replenish your skin with Clarify Body Scrub. SIZE: Net Wt. 3 oz. and 11.5 oz. INGREDIENTS: Sodium Chloride (Israeli Dead Sea), Sodium Chloride (Mediterranean Sea), Organic Helianthus Annuus (Sunflower) Seed Oil, Glycine Soja (Soy) Seed, Rosmarinus Officinalis (Rosemary) Leaf Oil, Mentha Viridis (Spearmint) Leaf Oil, Mentha Piperita (Peppermint) Leaf, Thymus Zygis (Thyme) Oil, Urtica Dioica (Nettle) Leaf, Tocopherol (Vitamin E). USE: Stir well before use. Massage gently in a circular motion onto surface of dry skin, using care not to irritate skin. Rinse with warm water, pat dry, and apply Clarify Body Butter. Once opened, best used within six months. WARNINGS/CAUTIONS: For external use only. Use only as directed. 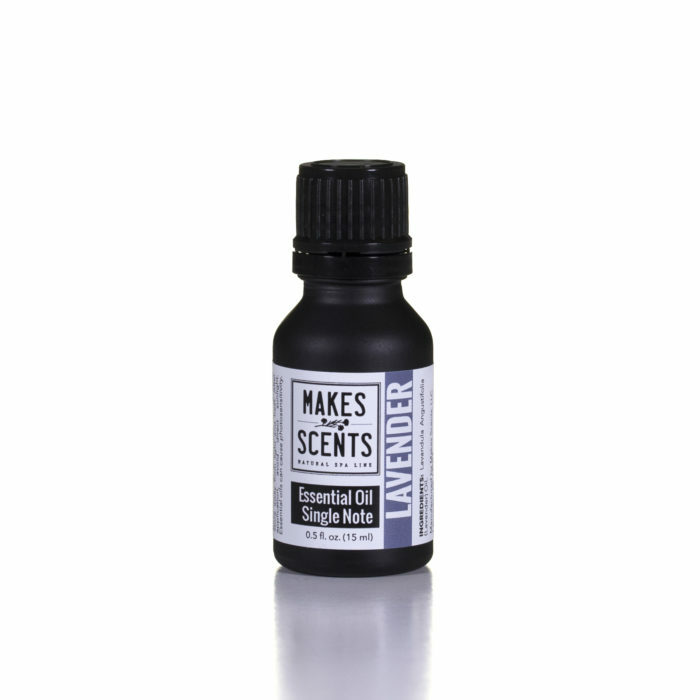 Discontinue use if irritation occurs and do not use on open or irritated skin. Avoid contact with eyes. If contact occurs, rinse well with water. Keep out of reach of children. This product is not intended for use in the cure, treatment, or prevention of disease. The safety of this product has not been determined. Store with lid closed tightly in a cool, dry environment. Use spatula to stir and dispense product and do not allow water to mix with product. Use caution – oils can make shower and bath surfaces slippery. 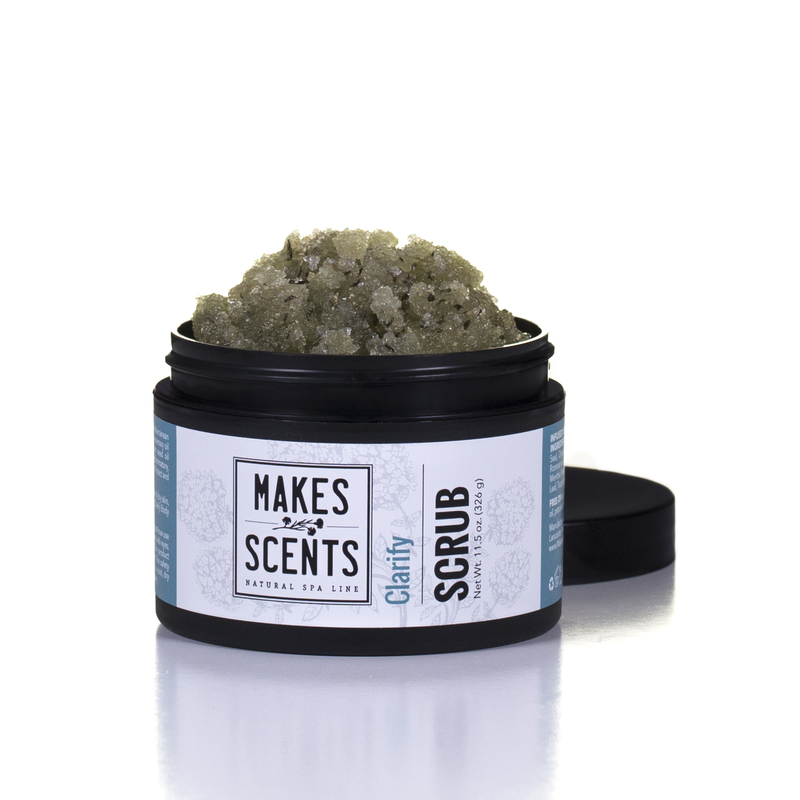 Be the first to review “Clarify Body Scrub” Click here to cancel reply.